The New York City newspapers referred to her as “the girl in green” - green was her color and it caught reporters' eyes. 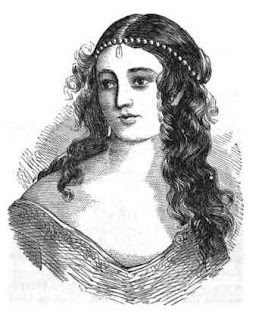 23 year old Helen Jewett was a beautiful, intelligent, sophisticated prostitute at Rosina Townsend’s upscale brothel not far from New York’s city hall. Her clients included politicians, lawyers, journalists, and wealthy merchants. 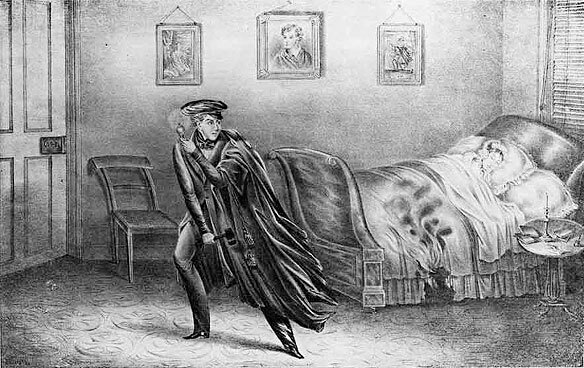 One cold April night in 1836 one of them smashed her skull with an axe and set her bed on fire. It was the story that shocked New York and gave birth to sensational journalism. For women in the nineteenth, century prostitution was a last resort, when poverty, shame or abandonment left them with nowhere to turn. But for Helen Jewett it was a true calling and she embraced it with enthusiasm. She was born Dorcas Doyen in 1814 in Temple, Maine, daughter of a poor shoemaker. Her mother died when Dorcas was a young girl and when her father remarried; he put his daughter out to service. At age 13 she secured a position in the Augusta, Maine home of Nathan Weston, Chief Justice of the Maine Supreme Judicial Court. By arrangement, she was to work there as a servant until her eighteenth birthday and the Westons would raise her almost as if she were their own child. The work was hard, but it was a tremendous opportunity for a bright young girl to learn culture and civility. She was also given access to Judge Weston’s library and she became a voracious reader, especially fond of novels. When she was sixteen or seventeen Dorcas became sexually active. The details of her seduction are not clear, but the act appears to have been consensual, and among the men suggested as her possible seducer, was Judge Weston himself. The details of her seduction are not clear, but the act appeared to be consensual. When the story became public, the judge had to do something. Though Dorcas was only seventeen, she and the Westons agreed to say she was eighteen and end her service. This freed the judge from having to take action against her seducer, and allowed Dorcas to go her own way. Dorcas Doyen may have been kept by a lover briefly after she left the Westons, but three months later she was living an Augusta brothel kept by Maria Stanley. Soon after, she changed her name to Helen Mar and moved to Boston. She worked there as prostitute for five or six months then changed her name again and moved to New York City. Now known as Helen Jewett, she went to work in an upscale Manhattan brothel run by Rosina Townsend. In New York, Helen Jewett was more a courtesan than a common prostitute. Her clients included successful lawyers, merchants and politicians who viewed their relationships with her almost as romances, with rendezvous and exchanges of gifts and letters. 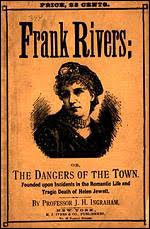 Her favorite client was a young man who went by the name of Frank Rivers. He was handsome and dashing -- the girls at Mrs. Townsend's house referred to him as "Pretty Frank." His real name was Richard P. Robinson, an 18 year old clerk with a promising career at a Maiden Lane dry goods store. They began spending time together and corresponding when they were apart. They were very fond of each other but Robinson hated her profession and he began to see other, more respectable women. Helen wanted him to herself and threatened to publicly humiliate him. Three day before the murder Helen sent him a letter trying to reconcile and renew their relationship, but closed by saying "You have known how I have loved, do not, oh do not provoke the experiment of seeing how I can hate." In his response Richard Robinson said, "You are never so foolish as when you threaten me. Keep quiet until I come on Saturday night and then we will see if we cannot be better friends hereafter." 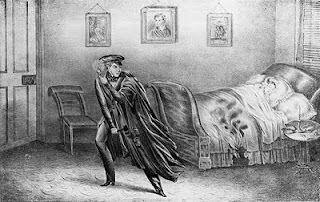 The following Sunday, April 10, 1836, Mrs. Townsend was awakened by a noise at around 3 A.M. She found the back door ajar and a lamp that belonged in a second floor bedroom burning in the hall. When she opened the door to Helen's room black smoke billowed out. She yelled "fire" and the girls and their male companions hurried into the street. Three watchmen came and helped her put the fire out. As the smoke cleared, they saw Helen's charred body on the floor. Her head had been smashed by someone wielding an axe. Mrs. Townsend recalled seeing Robinson with Helen that night wearing a long dark cloak. Outside they found a bloody hatchet and the cloak she had seen Robinson wearing. Richard Robinson was arrested and the police, trying to elicit a confession brought him to the scene of the crime. But he showed no emotion, just calmly denied killing Helen Jewett. The eighteen thirties marked the beginning of the "penny press" and the Helen Jewett murder was made to order for sensational journalism. Competing New York newspapers were in a frenzy to print all the information they could find on Helen Jewett and Richard Robinson and the public could not get enough. By the time of the trial the murder had become national news, and for the first time, reporters from other cities came to cover a New York City murder trial. A movement had begun to grow among young men who sympathized with Robinson, asserting that men should not be subject to threats from prostitutes. They expressed their support by wearing black cloaks similar to the one worn by Robinson. In opposition, women who wanted to see Helen's killer punished wore white beaver caps trimmed with black crepe. The evidence against Robinson was largely circumstantial easily countered by the defense. The prosecution was not allowed to enter Robinson's diary into evidence and was only allowed one letter from the volume of incriminating correspondence between Richard and Helen. Most of the testimony against Robinson came from Mrs. Townsend and other prostitutes from her house. In his instructions to the jury, the judge told them that prostitutes were not to be believed. The jury deliberated for half an hour. There were cheers from Robinson's supporters when they returned a verdict of not guilty. After leaving the courtroom, a companion of Robinsons was reportedly seen giving an envelope to one of the jurors. 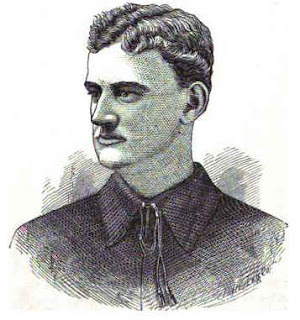 Soon after the trial Richard Robinson left New York for Texas. He died two years later of a fever. 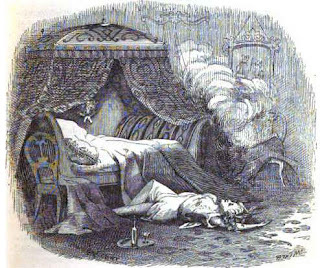 Reportedly, on his deathbed he repeated the name Helen Jewett. Everyone would will write this story gave birth sensational journalism. No i think that title gos more the French Revolution. People need to learn how to write with stuff that has not already been written. Very fascinating story. 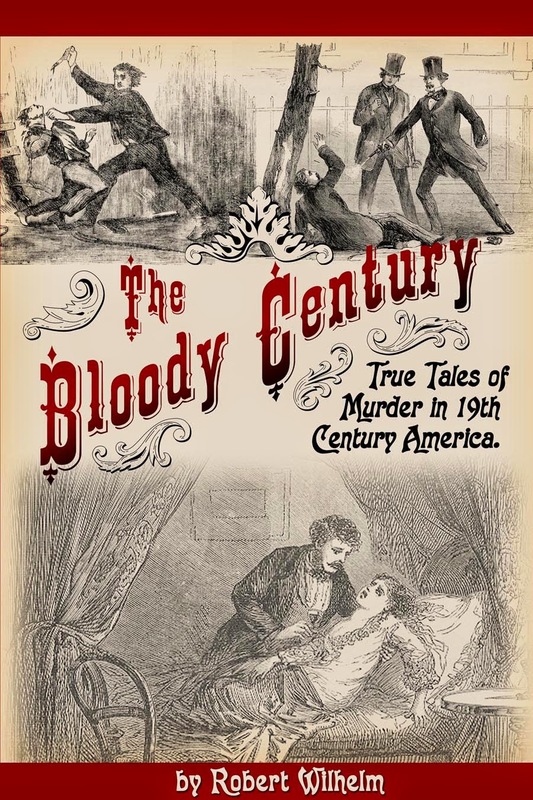 I believe it was the first sensational murder trial in the dawn of the mass media era. Actually, Richard Parmelee Robinson came to Nacogdoches, Texas following his acquittal. He established several businesses, including a dry goods store, billiards parlor, and stagecoach service, and was employed as a clerk of the court, under the name Richard Parmelee. He married the sister of a prominent early Nacogdoches settler, was a FreeMason (Milam Lodge #2), and never denied his true identity. He died in 1855 in Kentucky and his body was returned to Nacogdoches for burial in Oak Grove Cemetery.